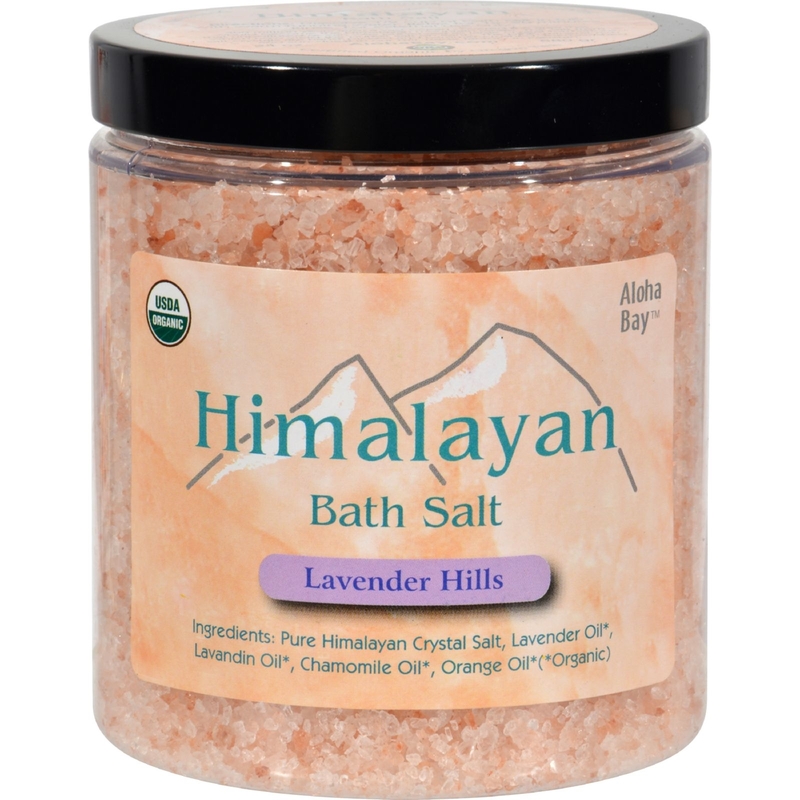 Aloha Bay Himalayan Bath Salt Lavender Hills Description: Aloha Bay Himalayan Bath Salts are Organic, Rich in Minerals, and Rejuvenating. The crystal salt is hammer-crushed not ground, and it is pinkish in color due to the minerals it contains. Enhanced with pure natural essential oils to restore the balance of body and mind. Disclaimer These statements have not been evaluated by the FDA. These products are not intended to diagnose, treat, cure, or prevent any disease.